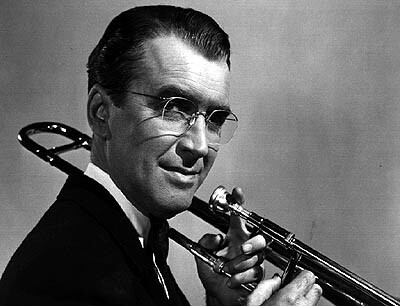 Glenn Miller (Alton) (March 1, 1904 — missing December 15, 1944), was an American jazz musician, arranger, composer, and band leader in the swing era. He was one of the best-selling recording artists from 1939 to 1942, leading one of the best known "Big Bands". Miller's signature recordings include In the Mood, American Patrol, Chattanooga Choo Choo, Tuxedo Junction, Moonlight Serenade, Little Brown Jug and Pennsylvania 6-5000. While traveling to entertain U.S. troops in France during World War II, Miller's plane disappeared in bad weather. His body has never been found.